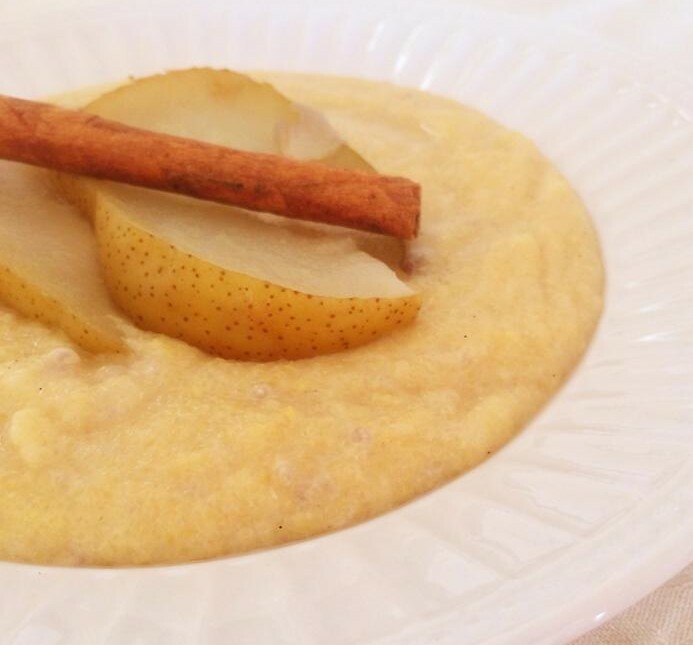 Polenta porridge?! OK, I know what you’re thinking… but trust me this porridge beats oats any day! So where on earth did I get this idea? Basically a few months ago I hesitantly ordered a polenta and chia porridge at a charming café in Melbourne. 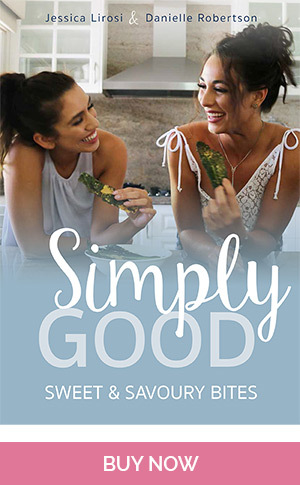 I say hesitantly because I was extremely sceptical of my menu decision and knew it could go one of two ways; I would either hate it or love it. And I LOVED it! Melbourne is slowly easing into winter and what better way to get ready for the chilly season than with a divine breakfast option to warm the soul before you take on a cold winter’s day! Pears are also in season at the moment (yay!) 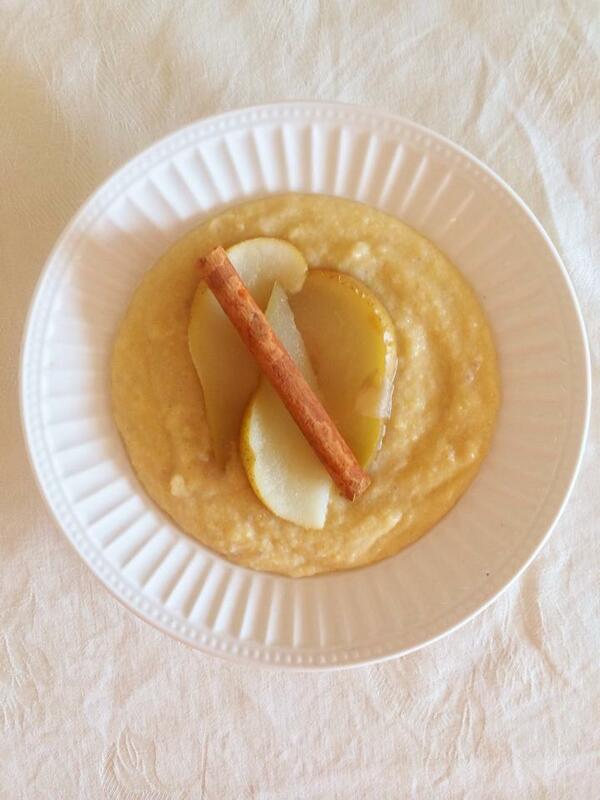 so I poached these with a cinnamon stick to enhance the flavour and truly make your creamy porridge even tastier – yummy! Place water, cinnamon stick and maple syrup in a saucepan on low heat until water is heated. Chop the pear in halves and continue cutting each half piece of pear in half. Pop in the saucepan and cover for 15-25 minutes on low heat while you prepare the porridge. In a separate saucepan, add milk and place on low heat until nearly boiled (small bubbles will appear on the surface). Add polenta and chia seeds and stir for 5 minutes until thick and creamy. Add rest of porridge ingredients and stir through. 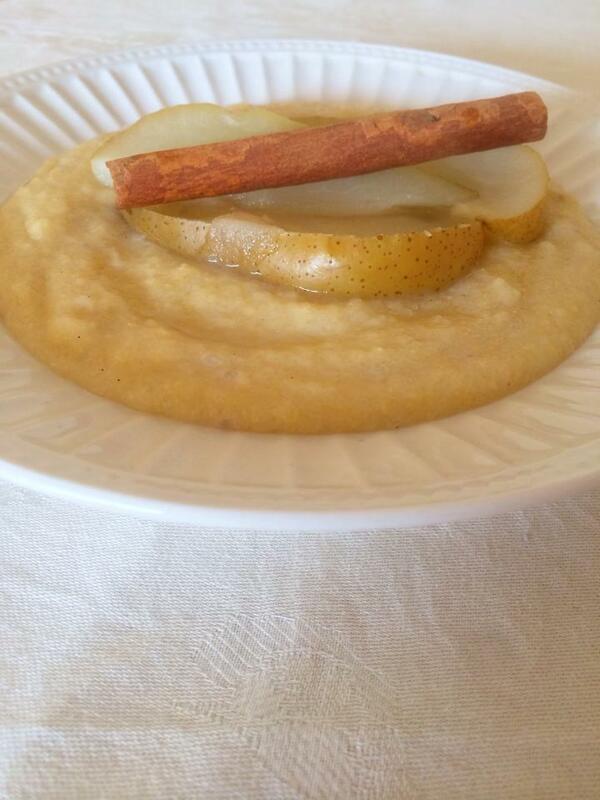 Pour porridge into bowls and drain the pears and place on top. 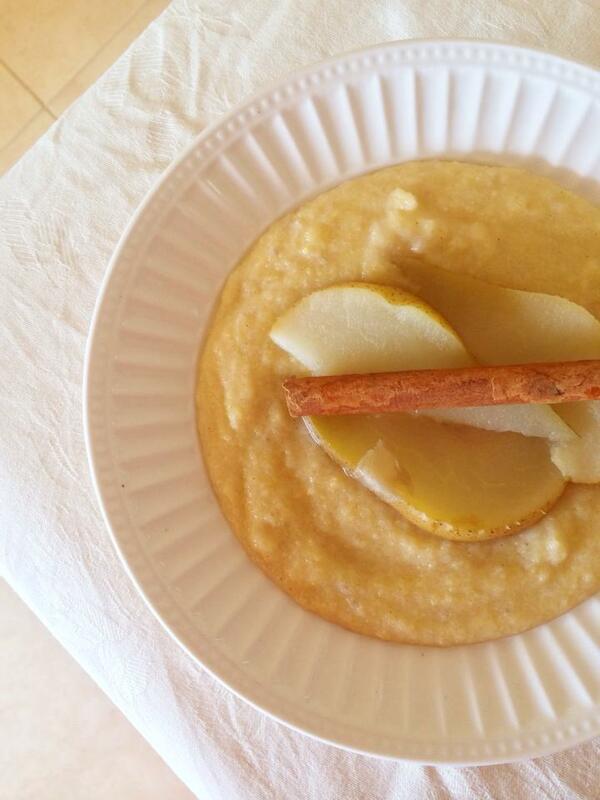 Decorate with a cinnamon stick and enjoy!